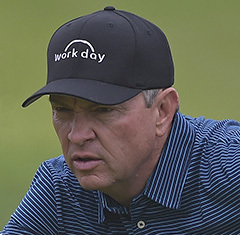 This week’s update is from PGA TOUR professional, 2017 World Golf Hall of Fame inductee and Team RSM Member Davis Love III, who is also a resident of Sea Island, Georgia – home of The RSM Classic. “Welcome home!” That’s the way visitors to Sea Island Resort are greeted when they arrive. And Sea Island does, indeed, feel like home – regardless of whether you live here, as fellow Team RSM Member Zach Johnson and I do, or if you’re just visiting. The staff at Sea Island focuses on making every person feel as if they’re returning home – to a place that’s comforting and always welcoming. And that’s a feeling that many of us here on the island strive to create, as well. That’s just one thing that makes Sea Island so unique. There are many. And one is The RSM Classic, which in my opinion, is one of the best events on the PGA TOUR. The RSM Classic, sponsored by RSM US LLP (“RSM”), started here at Sea Island in 2010, and we’re now celebrating our eighth year. Every year, I’m honored to serve as host for the tournament, and it’s truly one of the highlights of my year each year. Not only do I get to play and help showcase the beautiful courses here on the island, but I get to welcome golf fans to a place that I’m proud to call my home. I look forward to taking in some great entertainment and meeting some of the volunteers who make the tournament a success year-after-year. The highlight of the week for me, though, is all of the good that comes out of the tournament. Each year, The RSM Classic raises funds for deserving local and national charitable organizations focused on children and families. Last year alone, the tournament raised $2.2 million, bringing the grand total raised through the tournament since its inception in 2010 to more than $7 million. I’m humbled to be a part of something like this that helps those in need, and appreciate the fact that RSM shares that desire to give back to the communities where their people live and work. I hope you’ll join me at Sea Island for The RSM Classic Nov. 13-19. We have much to be thankful for this year. I and the rest of us Sea Island residents would like to “welcome you home” to celebrate together.